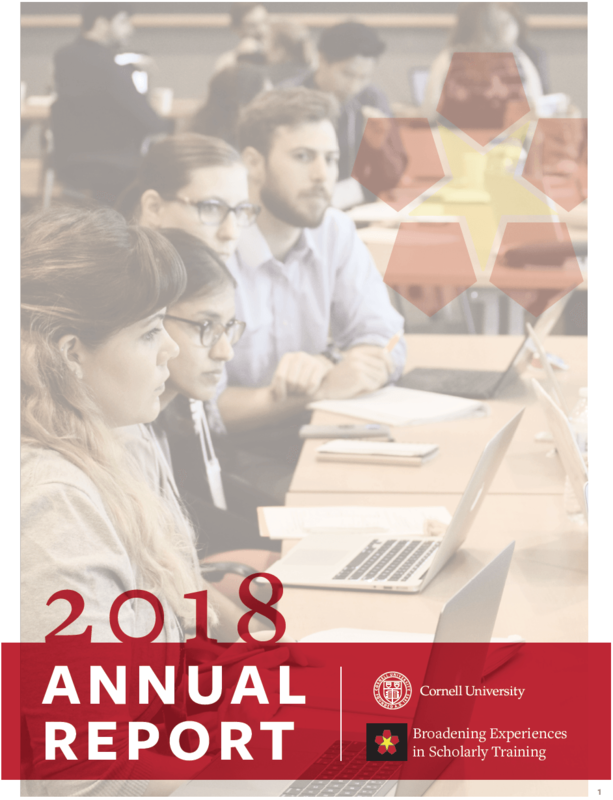 Our 2018 BEST annual report documents our accomplishments for this year and provides a retrospective overview of the first five years of the program. Welcome to the “BEST” blog! We are excited to go live with our stories about the program and its impacts. Read on for a little more information about us. 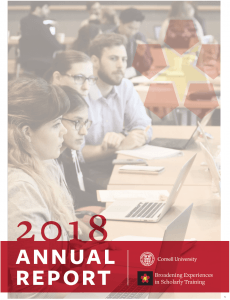 “Broadening Experiences in Scholarly Training,” or BEST, is aimed at helping PhD students and postdoctoral scholars make the most informed decisions possible about their career paths after Cornell. For some, this means being even more confident that a career in academia is for them. Others will decide to use their expertise in careers outside of academic research settings. All PhD students and postdocs can benefit from becoming BESTies, as program trainees are called. Why does BEST do this? Many PhD students and postdocs will have fulfilling careers outside of academia. Even those who pursue academic careers will need to develop skills beyond the technical or research skills they are developing in their current programs. What does BEST do for PhDs and postdocs? BEST provides opportunities for increasing awareness of the broad range of careers that exist, and helps BESTies take careers for a test-drive. Some example careers to explore include: (1) Policy, (2) Governance, Risk, and Compliance, (3) Industry, Entrepreneurship, and Management, and (4) Communication. How does BEST do this? The BEST program is facilitative in nature rather than being prescriptive about what participants must do to complete it. To help PhD students and postdocs fall in love with their future careers we empower them through individualized service to sculpt their future. Successful participation results in BESTies who are more confident about and better prepared to pursue a career path of their choice. Start your exploration today by visiting the BEST program at Cornell.